I love using nail polish and trying out new kinds or new brands, but I've realized that not everyone can do super intricate nail art or have the desire to do such. So, I decided I would review Scratch to show you what else is out there. Scratch sent me this pack in exchange for a review. What is Scratch? 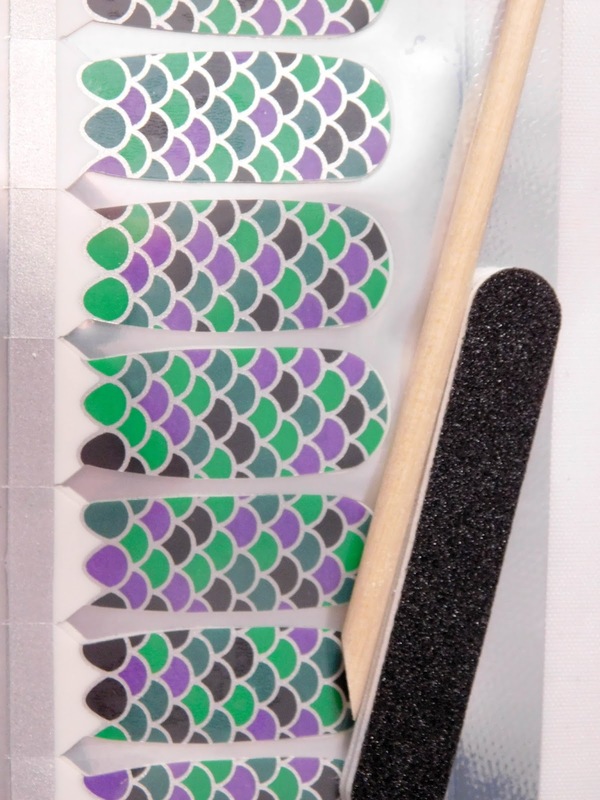 : Scratch is the maker of nail wraps, but it isn't stickers. Instead, they print the designs on adhesive with 5-free polish, so it goes on like polish because it is polish. Scratch is perfect if you want a cute accent nail or you want to have your nails match a theme, or if you just want unique designs but can't do the designs yourself. 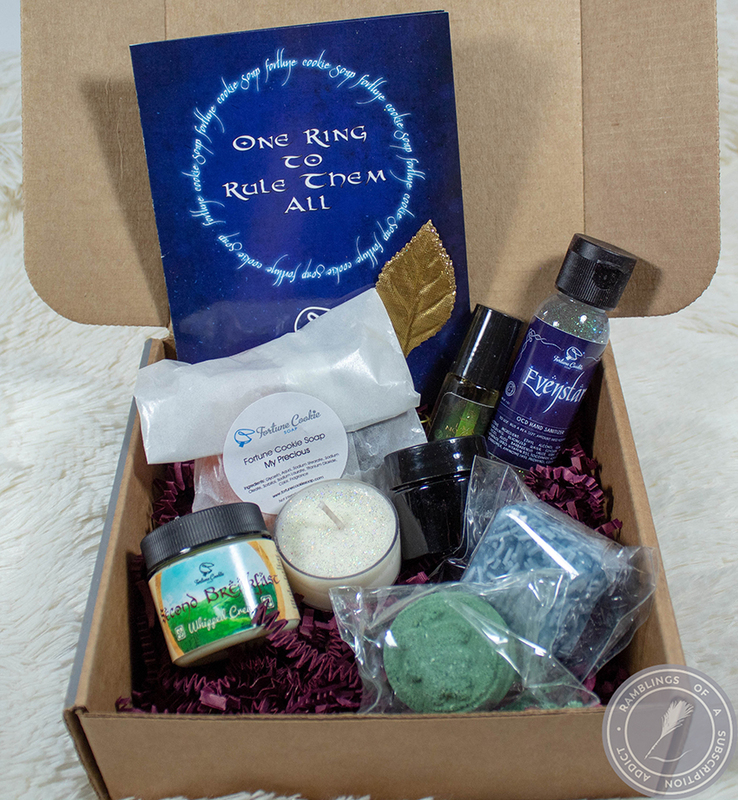 You can buy wraps one pack at a time or subscribe to their Monthly Mani Box, their subscription box. All wrap designs are done by artists, which you can find out more information on just by clicking their profile. How Much is Scratch? 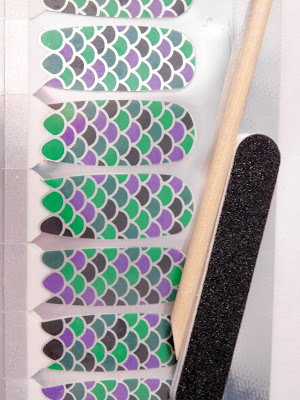 : Scratch wraps are $12.00 each, but you can often find designs on sale. Currently, there is a Summer Sale where many wraps are priced at $8.00. For my wrap, I chose Dragons Den. I couldn't decide which wrap design I loved most, just because there were too many options, so I let husband pick. I think he chose a great one! 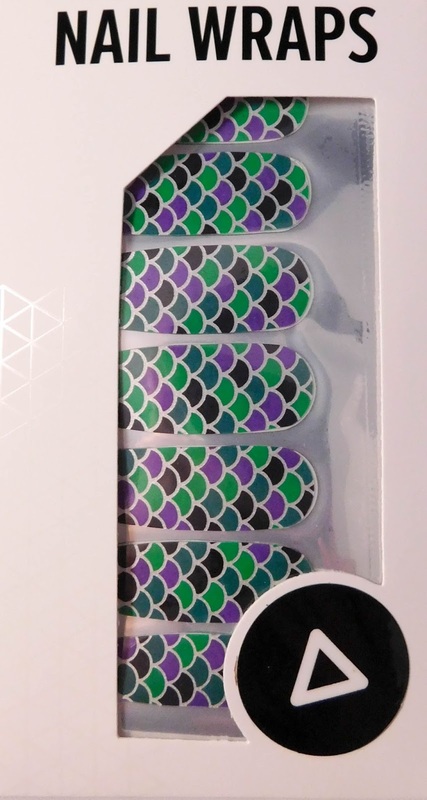 Each wrap you order comes with 16 wraps, so you are sure to find the perfect match for your nails, and the tools you will need to fit the wraps to your nails! They have their instructions on their website so you can make sure your experience goes as well as mine has! Mine went on very easily and I could see myself getting better the more I did. Obviously, it's a little more difficult to do your dominant hand, but it's still very doable! 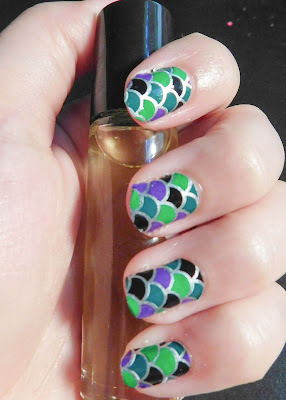 With these, you can top with clear topcoat or put a glitter/holo topcoat to add more dimension. 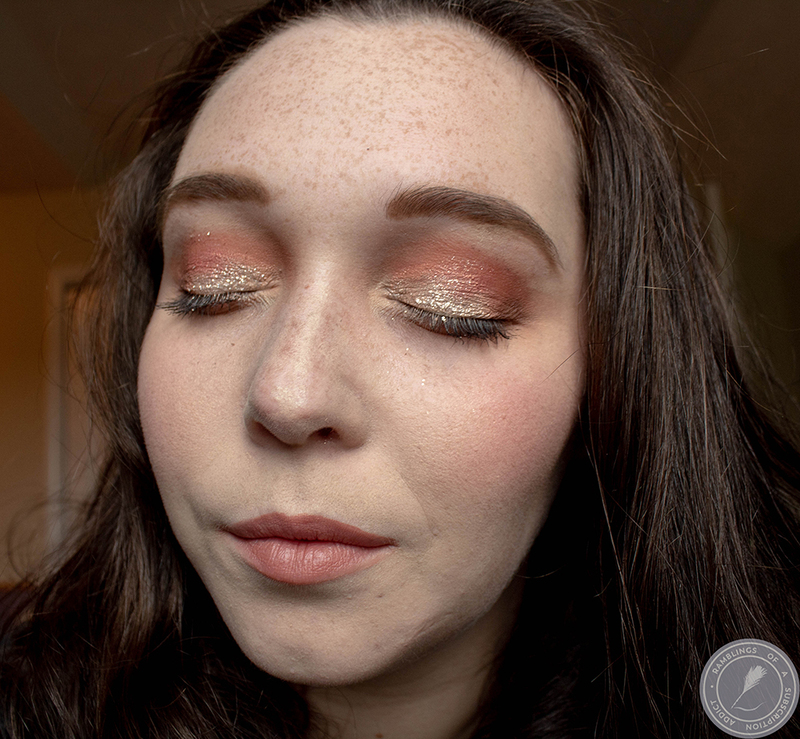 My next step is to wear it like this for a few days and then once I start getting tip wear, I'm going to disguise it with a great holo and go from dragon to mermaid! Overall, this was a great experience with Scratch. Using Scratch could definitely be for a special day or if you just don't have the time to do designs by hand. I love using my polish, but this was a great way to have a quick mani and one that I have yet to perfect when doing by hand. If you get Scratch, be sure to show me what designs you pick out and show me how you make it your own! 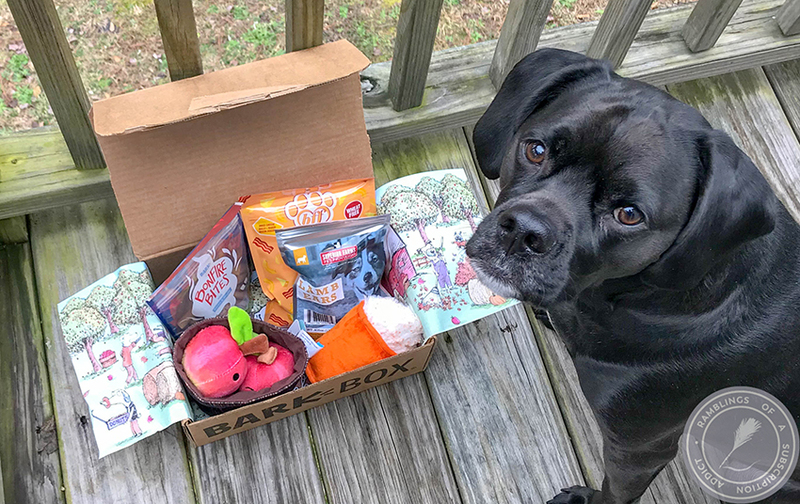 As always, let me know what you thought about this review in the comments!